Ruhaanika Dhawan will reportedly ring in her eighth birthday in Disneyland in Hong Kong in a whimsical world of cartoon characters with a puff of magic. Ruhanika Dhawan to quit ‘Yeh Hai Mohabbatein’? Ruhaanika Dhawan, who shot to fame with her character Ruhi of “Ye Hai Mohabbatein”, will turn 8 on September 25. Child artist Ruhanika Dhawan will reportedly ring in her eighth birthday in Disneyland in Hong Kong in a whimsical world of cartoon characters with a puff of magic. 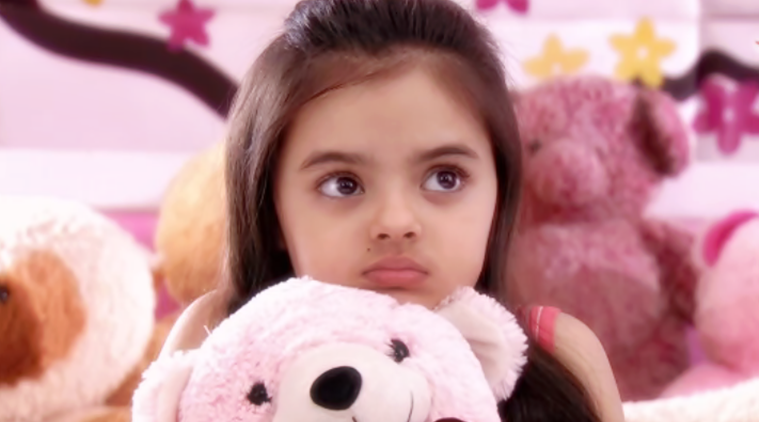 Ruhanika, who shot to fame with her character Ruhi of “Ye Hai Mohabbatein”, will turn 8 on September 25. She will fly from India on September 20 with her family and friends. “Ruhi is particular about her studies and doesn’t miss out on anything in school. And because she was getting holiday on occasion of Ganesh festival, celebrated in Mumbai, her parents took this opportunity and are set to fly next week. Ruhi will be finishing her part of the shoot by Sunday,” said a source from the production house. However, the cast and crew of the Star Plus show are planning a surprise for her once she is back.